Apparently, it’s only around $8.00. That’s the average price of a movie ticket today, and that’s all it took for Robert Saylor to be killed while in custody of three police officers. 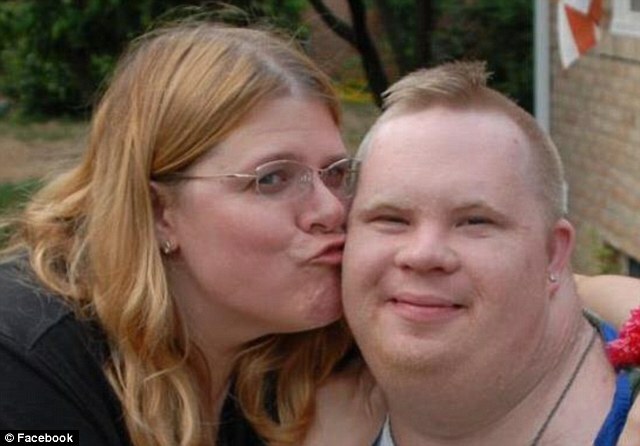 Robert Saylor was a 26-year-old man who had Down syndrome. He went to see a movie in Frederick, Maryland with a health aide. After the movie was over, he wanted to see it again, so he remained in the movie theater. When employees were unable to get him to leave, three police deputies were called, who were working off-duty as security guards that night. What happened next is horrifying. Saylor was asphyxiated during the arrest, after being placed face-down on the ground, and died. Dr. George Kirkham, a criminologist and former law enforcement officer, explained how this could happen. Positional asphyxia is typically the result of an intense struggle and often involves a person who is handcuffed and lying on their stomach after the struggle. Kirkham said people often panic and can’t catch their breath. People with larger stomachs are particularly vulnerable, he said, because their bellies will push into their sternums, making breathing even more difficult. The phenomenon is common among people who are on drugs or suffer from mental instability, Kirkham said, and Saylor’s Down syndrome could have played a role in making such a scenario more likely. “It’s a well-known phenomenon, and these people need to be trained about it,” he said. Saylor’s manner of death has been ruled a homicide. He was killed over the cost of a movie ticket. This was a man who clearly had a disability. But no one in this case – not the theater employees or the police deputies – showed even an ounce of understanding, empathy, or compassion towards him. No one apparently thought of getting his health aide or his parents to help. They completely failed to recognize that this was someone who had special needs, and that this wasn’t their typical situation which might require an arrest or use of force. Even putting that aside, according to Cpl. Jennifer Bailey, police are trained to avoid in-custody death and positional asphyxia during use-of-force training. So what happened here? The investigation will shed more light on the situation, but it seems like a pretty clear example of an abuse of power over a vulnerable person with special needs, who ended up dying over something silly. Really, try to picture the situation. You’ve got Robert Saylor in the movie theater, who has Down syndrome and is developmentally disabled. And he’s going against three police officers. What chance did he really have? How much resistance could he have actually put up? Saylor’s “crime” wasn’t a violent one, either. He was sitting in a movie theater, and the employees said he needed to buy another ticket in order to stay. That’s how minor this incident was. It’s a shocking example of abuse towards Saylor, who was disabled. And it sends a disturbing message about how very far we have to go in how we, as a society, treat people with disabilities. Currently, the three officers have been placed on administrative leave.